If you need another reason to get back onto Sword Art Online: Fatal Bullet, this new piece of DLC maybe what you need. The Betrayal of Comrades DLC adds more story, more enemies, quests, and some new characters. Additionally, a free-for-all mode has also been added in an update that goes with the DLC’s launch. You can take a look at the DLC’s press release below. Choose your friends wisely as BANDAI NAMCO Entertainment America Inc. releases Sword Art Online: Fatal Bullet’s second DLC, Betrayal of Comrades, available today for PlayStation 4, XBOX ONE, and PC via STEAM. In the Betrayal of Comrades DLC, new foes emerge, but with the familiar faces of friends. Dive deep into a brand-new story that revolves around the emergence of character imposters and fight against new bosses and enemies to uncover the truth. New characters, Clarence and Shirley from Alternative Gun Gale Online, are now available to help players and join the battle. New quests will be offered, and players will also unlock a new area of their home in this DLC. 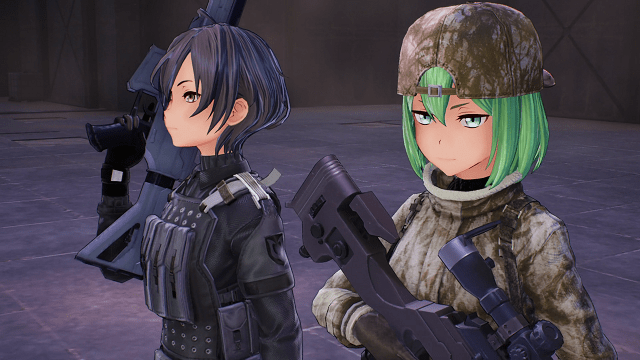 A new Free-for-All game mode will also be included as a free update for all Sword Art Online: Fatal Bullet players during the launch of the Betrayal of Comrades DLC. The new mode brings eight players onto one map to battle against one another. Players gain points for kills and lose points if they die, with the winner being the player with the highest amount of points. Betrayal of Comrades DLC for Sword Art Online: Fatal Bullet is available now in the Americas for the PlayStation 4, XBOX ONE, and PC via STEAM for $9.99. Sword Art Online: Fatal Bullet is now available for PlayStation 4, PC, and Xbox One. You can see what we thought about the game here.